See how old Las Vegas and a few tons of dynamite have made way for the new Las Vegas. 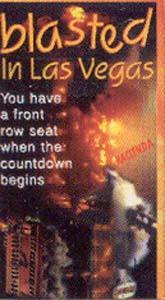 You have a front row seat when the countdown begins as the great buildings of Las Vegas are exploded. FREE shipping within the United States. Regular retail price is $29.95.